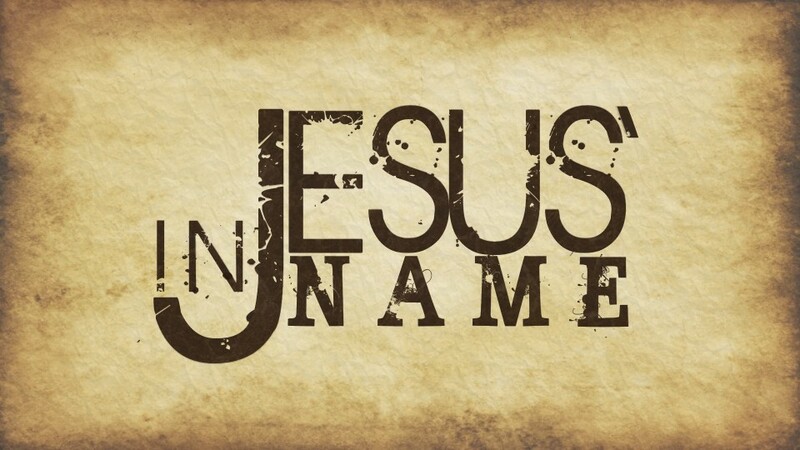 What does “the name of Jesus” mean? Today, when we use the word “name” we usually refer to a way of identifying a person. But in biblical times, when they use the word “name” it represents the character and the being of the one bearing that name. So when we say “in Jesus’ name,” we refer to the person of Jesus himself – his character, his being, and all that his name represents. When we do things in the name of Jesus, we can identify at least three implications. The first one has to do with the reason. That is, we do everything because of Jesus, because of who he is and because of what he has accomplished on the cross for us. Everything we do must flow from the life, freedom and hope we have because of Jesus’ death and resurrection. Ask yourself, then, “Why am I doing the things that I’m doing? Is it because of Jesus or is it because of someone or something else? The third implication pertains to purpose. That is, we do everything for Jesus, for his glory and his glory alone. None of the things we do must be done to make our name great. We exist to give glory to our Creator and Redeemer. Ask yourself, then, “For whom am I doing the things I’m doing? Am I doing it for my own glory and honor or am I doing it to help other people treasure Jesus for who he really is? Brothers and sisters, let us do everything in the name of Jesus – because of Jesus, through Jesus, and for Jesus. It’s all about him, anyway. To see how Peter lived out this truth in Acts chapter 3, click the image thumbnail on the left to listen, read, download or share the sermon Witnessing and Wonders, part 3 of the 12-part sermon series The Story of God’s Church.